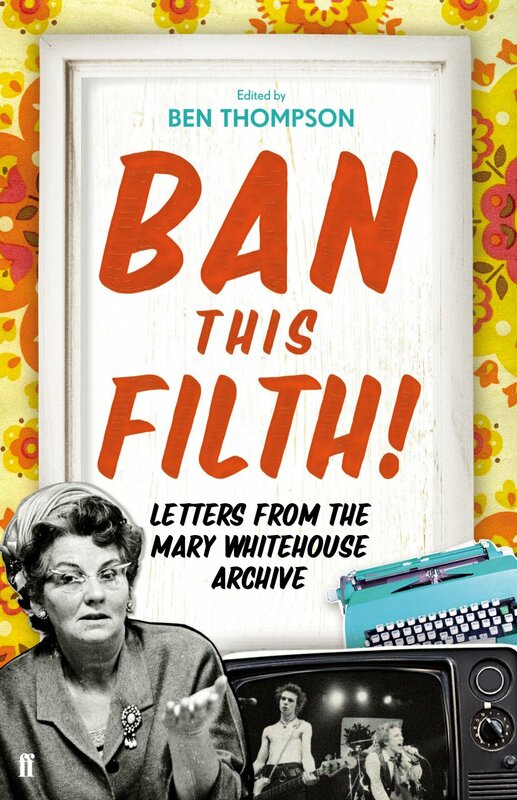 Reading the collection of Mary Whitehouse’s letters in Ben Thompson’s Ban This Filth! is like digesting a scrambled Charlie Brooker. Dr Who is ‘teatime brutality for tots’. The World at War has too much genocide in it. Complaining of Chuck Berry’s performance of ‘My Ding-a-Ling’ on Top of the Pops in 1972, she elicited the observation that the song began ‘with such a clear account of the contraption in question including bells’, that although the possibility of a double entendre was recognised, the BBC felt it was unlikely to ‘disturb or emotionally agitate its listeners’. But of course Whitehouse was permanently agitated. In editing this material from her archive, Ben Thompson not only works hard to salvage entertainment from some tedious cultural jeremiads, he also – more interestingly – tries to make some sense of them. Mary Whitehouse was a self-made caricature, a Spitting Image puppet in the flesh. But in forty years of crying wolf over the moral degradation of the British media did she sometimes get it right? Her concerns might be newly relevant in the age of the internet, Leveson and reality television, but a woman who once presented Jimmy Saville with an award for wholesome children’s programming was no seer. Still, Thompson’s commentary gently works against the grain of Mary Whitehouse’s popular reputation. If he recounts the campaigns of her National Viewers’ and Listeners’ Association with tongue firmly in cheek, he avoids indulging the comic (and not so comic) vituperation that she so often attracted. By shaping the collection around her developing relationships with a range of British institutions – ITV, the Church of England, the courts, the film and music industries, and above all, the bealeaguered BBC – he produces something a bit more interesting, if wryly ironic: the image of a woman against the establishment, a punk poet stranded on the wrong side of the counterculture. In Thompson’s hands, Whitehouse’s long battles with disdainful BBC correspondents are twisted to reveal her as a master of rhetorical sleight of hand, an arch seducer. If that is an old comic trick, it is still less cruel than anything that emerged from Gerald Scarfe’s scatalogical imagination. Whitehouse was often a crude campaigner, but she was undoubtedly effective in making herself heard. Thompson sees her legacies everywhere in the British media, from the upward tilt of Mrs Merton’s glasses to the skilfully orchestrated outrage of the Sachsgate affair. Part pop culture phenomenon, part dogged activist, she was never as clever as her adversaries; her real genius was in the art of self-fashioning. In 1964, the year that NVALA was launched, Mrs E.R. Whitehouse – as she called herself – was an obscure senior mistress in a Shropshire secondary school. Effectively blacklisted from BBC broadcasting for two decades (held at bay by the patrician director-general, Sir Hugh Greene, brother of the novelist, Graham) she still muscled her way into the executives’ hearing and the British national consciousness. This was a Thatcher before Thatcher, and a woman every bit as unpopular. Whitehouse made her formidable reputation by trading on her image as an ‘ordinary’ housewife who ran a national campaign from her kitchen table. Yet she was skilled in seeing off her professional rivals behind the scenes. One chief constable offered a forensically detailed account of offences committed in a 1969 BBC music documentary, All My Loving. Alongside some lurid accusations is his complaint about the comment that ‘a cockney entertainment producer’ made ‘on the effect that ‘pop’ music had on the teenage public, especially the females’. The comment by the ‘cockney entertainment producer’ remains sadly unrecorded. Another letter reveals what Thompson calls ‘the darker backwaters of NVALA support’ – one that was not directed to Esslin, but about him. A correspondent wrote to congratulate Whitehouse on her fight not just against bad television, but against ‘a diabolical conspiracy against our country and Christianity itself’. This ‘foreigner’ (Martin Esslin was a Hungarian of Jewish descent who had fled to Britain after the Anschluss) had no right to corrupt British children, she asserted, along with a few other libellous accusations. It is a reminder of the nasty streams from which Whitehouse’s association could flow, even if she did not allow them to emerge into public scrutiny. What is depressing about so many of these letters is that they address material that ‘must indeed be bad’, but about which the correspondent knew very little, if anything at all. (An exception is the exhaustive – and exhausting – summary of The Exorcist produced by two NVALA members which reads like the dullest of school reports.) But Whitehouse could also be fair, in her own way. In a personal letter she sent to Potter following the broadcast of Where Adam Stood – the last instalment in the trilogy of which Brimstone and Treacle was intended as the second part – she praised it as ‘superb’, assuring him that she would ask for it to be repeated on BBC1. And Potter, for his part, did not join in the usual chorus of abuse that Whitehouse attracted. Indeed, he told Melvyn Bragg on the South Bank Show in 1979 that ‘at least she acknowledged the central moral importance of – to use the grandest word – art’. At least she took it seriously. The problem was that she could also take it literally. One of the stranger consequences of this, as Thompson records, was the libel case taken by Dennis Potter’s mother over Whitehouse’s comments on her part in The Singing Detective. In fact, her capacity to see political and moral subversion in any number of anodyne seventies’ tracks placed greater faith in pop culture than it probably deserved. In this, as in so many other places, Thompson’s commentary exploits the kind of irony to which Whitehouse was habitually blind. But such tricksy revisionism is of little use when tracing her involvement in the Gay News blasphemy trial or her attitude to homosexuality, as he admits. Here there is no attempted acquittal, not only because it would be pointless, but because it would be ‘based on a dangerous underestimation of the pervasiveness of the cultural climate’ that shaped her homophobia. That may be a fair point, but it sounds a little like an acquittal of personal responsibility all the same. 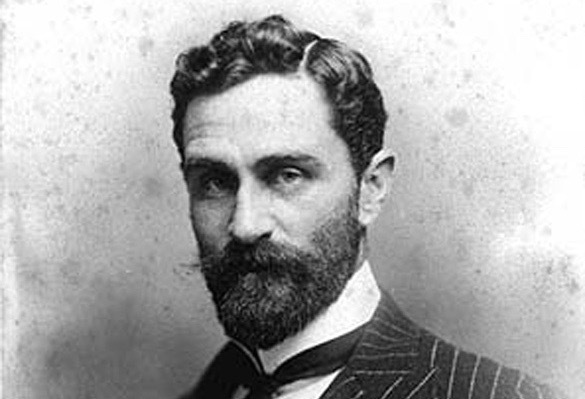 You quote as typical of the language used in the play “prick of a brothel”. It seems that even your typewriter is infected by your prurience and your vision of universal corruption for “brothel” should, of course, read “brother”. ‘Vision of universal corruption’ sounds about right. In many ways this is an intriguing collection of letters, though some of its interest fades the more Whitehouse writes. In his intelligent, rather arch commentary, Thompson knows just how to exploit the cultural nostalgia that Mary Whitehouse’s perfectly coiffured outrage can evoke. Like other idols of the early years of British television – Bill and Ben the Flowerpot Men, or Muffin the Mule – she was probably a great deal more tedious the first time round. But this eccentric collection of letters still makes it worth revisiting this accidental star of the television age.